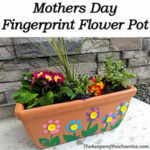 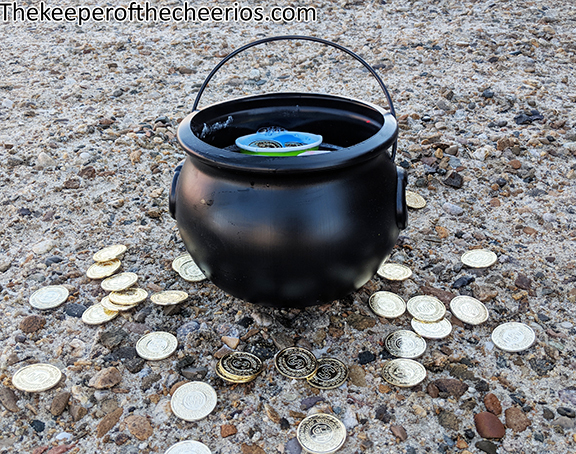 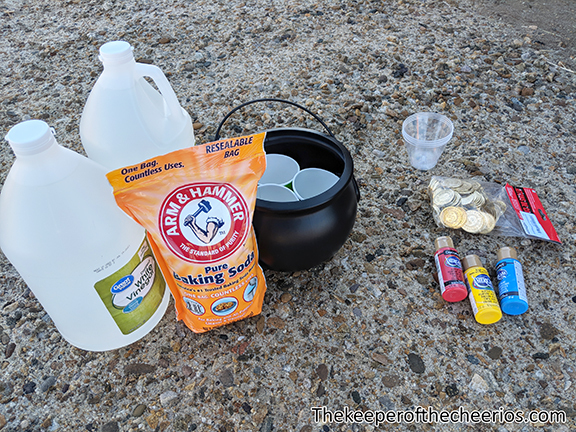 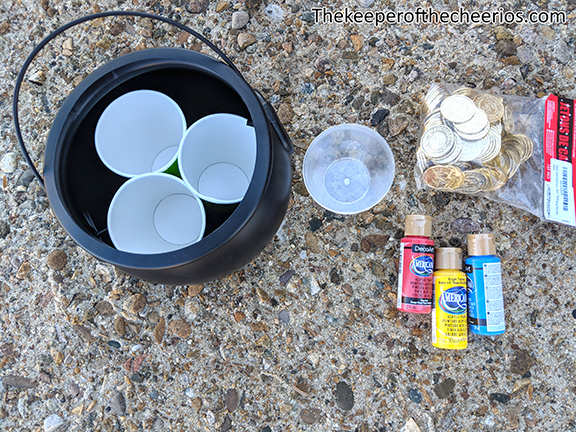 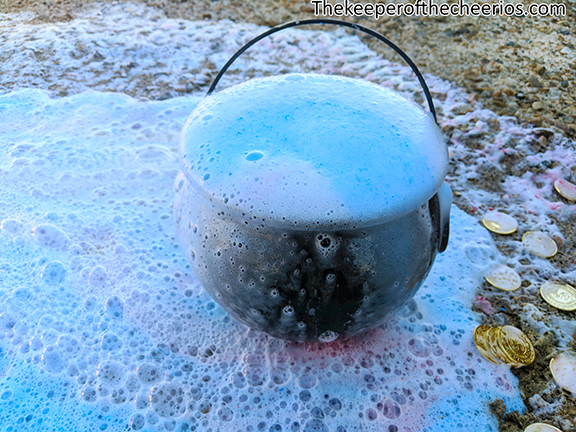 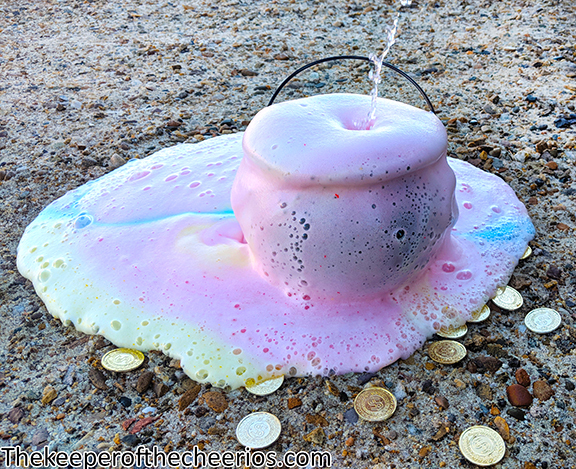 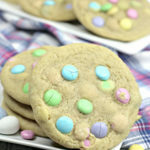 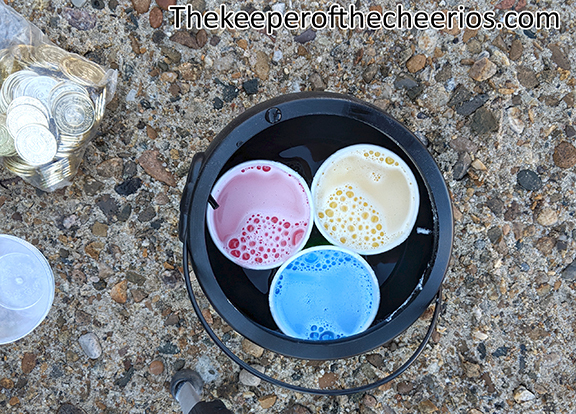 If you are looking for a simple, inexpensive craft project or experiment for St. Patrick’s day or just something to keep the kiddos busy then you have to try out the fizzing rainbow pot of gold. 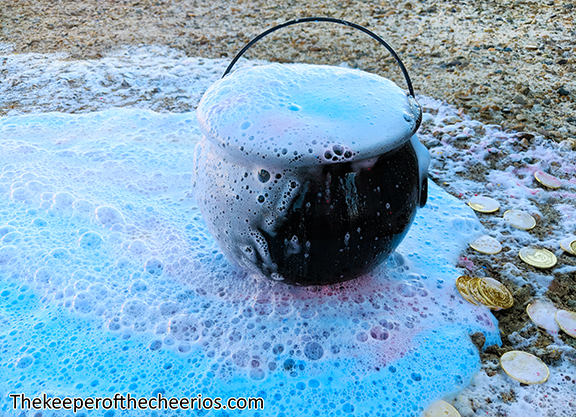 We did so many eruptions in one day that we went through 2 gallons of vinegar but the kids sure loved it. 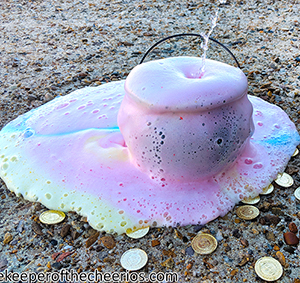 The beautiful colors that came out of it just amazed the kids and of course who does not love making a mess and playing with gold coins. 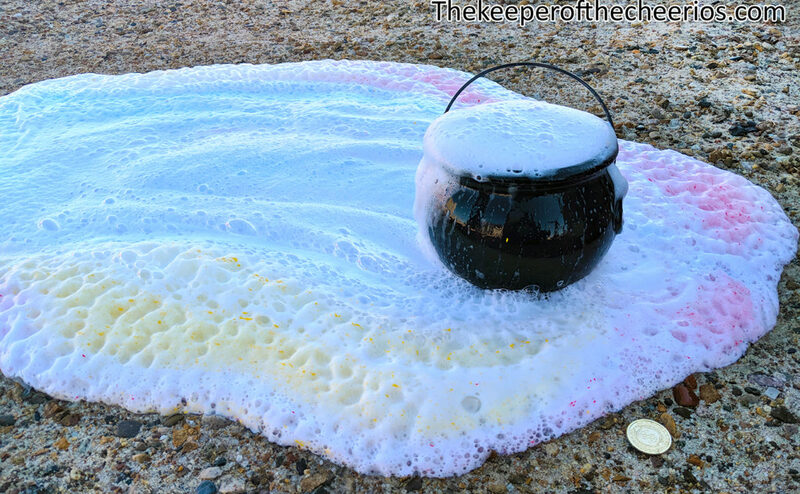 Pour water in your cauldron around your cups to fill in the gaps so your foam goes over the edge of the pot and not into it.